It’s almost Cinco de Mayo! Ever since I first moved to Phoenix in 2004, I’ve been a fan of that day. I mean, it’s another excused to enjoy great Mexican food and yummy drinks with my friends. After living in Boston for awhile, I can honestly say I missed Mexican food the most. Although I would make homemade versions of my favorites, it’s just not the same. Now that we’re back in Cali, we have our pick of great Mexican restaurants. However, I still want to be able to create great recipes at home too. 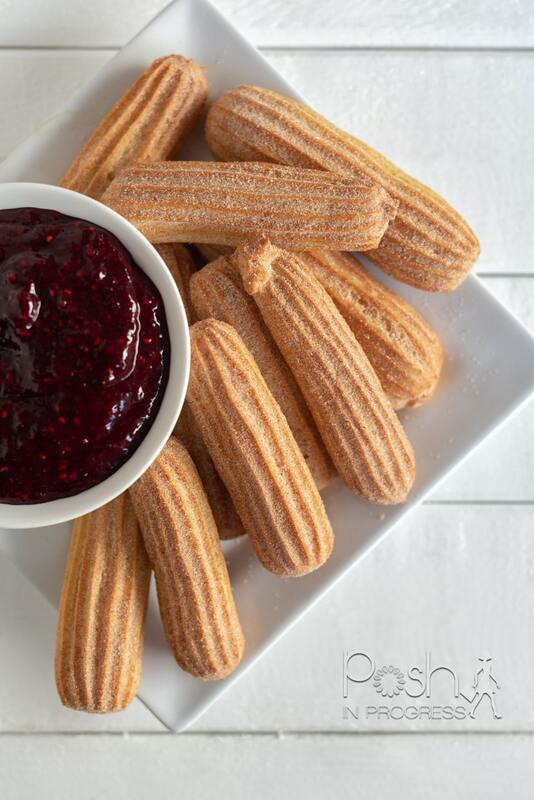 I’ve never tried making churros before, so when I saw this recipe, I thought I had to give homemade baked churros a try. When I first saw the recipe, I wasn’t convinced I could do it. I also wasn’t sure that baked churros would be very tasty. Well, I was wrong on both counts. 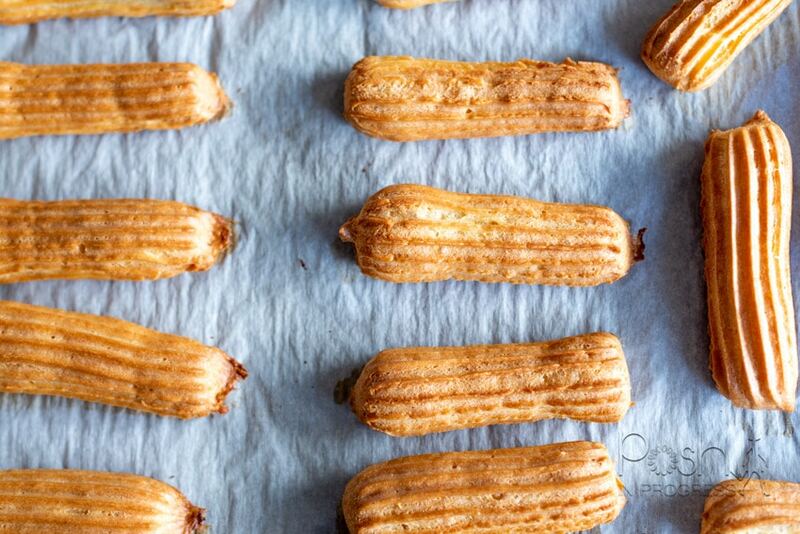 Homemade baked churros are actually quite delicious. I also have to admit that they weren’T nearly as difficult to make as I had imagined. I also made the recipe a whole lot simpler by using my food processor to mix them all up. But the most important test of all – my kids loved them! We’ll definitely make these again for Cinco de Mayo. Why pay 10 bucks at the local fairs or theme parks when you can make them right at home. Preheat oven to 400°F (200°C). Place two baking sheets on top of each other to bake the churros. This protects your delicate pastry. Line parchment paper; set aside. In a medium saucepan, add water, brown sugar, salt, and butter. Place over medium-high heat. Heat until butter is melted and mixture starts to simmer. As soon as it is simmering, whisk in the flour. Whisk until there are no flour lumps and a dough ball has formed. Now, using a wooden spoon you want to stir the dough around your pot and cook it for about a minute over LOW heat. The mixture will clump and pull away from the sides of the pan. Just do it for a minute :), then take it off the heat and set aside. In a jug, combine eggs and vanilla and whisk together.Using your wooden spoon add incorporate a little of your egg mixture into your dough. Stir and mash, breaking up the dough until loosened. Stir well until eggs are incorporated and mixture has the appearance of mashed potatoes. Continue adding your eggs until combined. Transfer your dough to a piping bag fitted with a star tip. 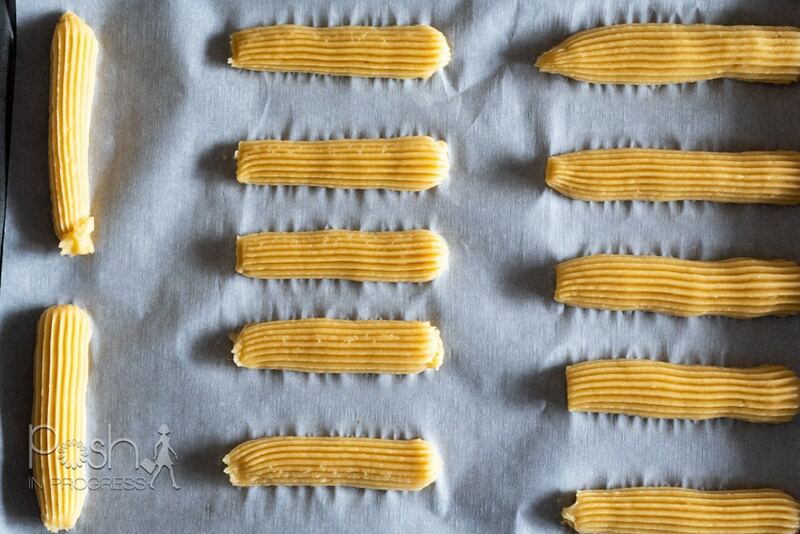 Pipe dough into long churros on the parchment-covered pans. Make sure to pipe them nice and thick. Do this by putting pressure on the bag and piping slowly. untilthe berries have softened. This should take between 5-10 minutes. Once the berries are mostly thawed, increase the heat to medium. Mash them with a potato masher and stir constantly while the liquid simmers for about 2 minutes. Pour the warm mixture over vanilla ice cream or let cool and then serve with the dessert of your choice. Store in the refrigerator until ready to use. Enjoy! 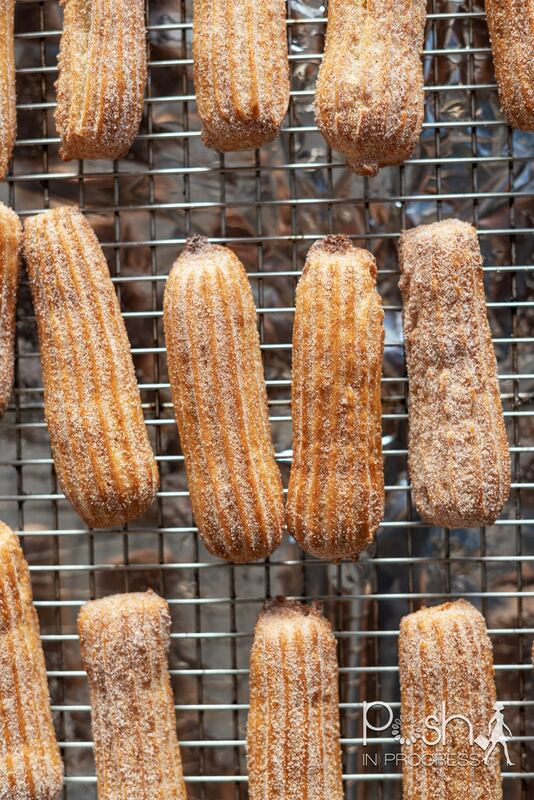 can yu replace the eggs in the churro recipe with applesauce?